The Chrysler 300 SRT will be discontinued here in North America. Though Chrysler has announced nothing itself, Automotive News is currently reporting that the Chrysler 300 SRT will be discontinued in the North American market for 2015. This isn’t coming out of left field, however, as last month, Chrysler Group applied for a “Trackhawk” trademark, leading an industry source to report that Chrysler might possibly be using the Trackhawk name for the Grand Cherokee SRT going forward (since the SRT brand was re-absorbed by Dodge). That left nothing for the Chrysler 300, however, and rumors began to circulate that it would be nixed. This isn’t the complete end for the Chrysler 300 SRT model, however. Automotive News also reported that the 300 SRT will remain on sale in certain right-hand-drive countries across the pond, at least for 2015. 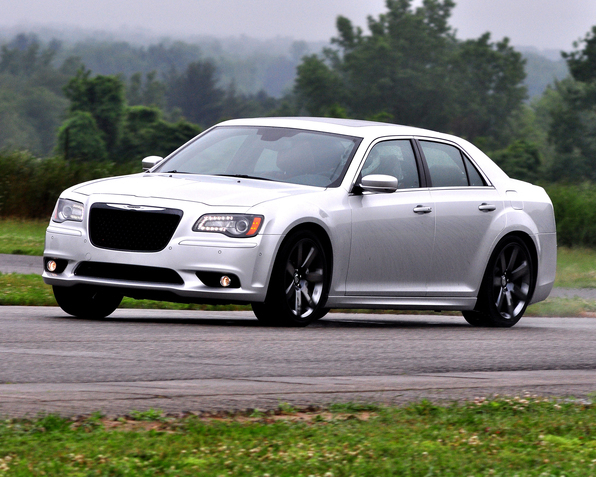 Beyond that, the Chrysler 300 SRT’s global future is unknown. While it isn’t hard to imagine that the Chrysler 300 SRT will be discontinued globally after 2015, it is hard to do the same for the Grand Cherokee SRT. The model fetches the highest price of any base Jeep model, and its popularity cannot go without mention. Let’s hope that following the 2015 model, Jeep does indeed append the Trackhawk title in the SRT’s place.